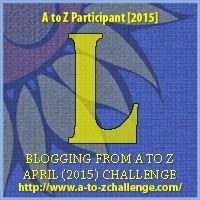 It seems there are many rogue words beginning with the letter L that lull us into danger. I’ve had requests from my readers to talk about the differences between lie/lay, lead/led, AND lose/loose. I didn’t want to leave anyone out. So today I’m going to be ambitious and write a bedtime story about all three topics, which hopefully won’t put you to sleep! Once upon a time, there was a young boy named Lee who hated bedtime. It felt like every time he went to sleep he had nightmares. He didn’t want to lay down his bedtime book on his bedside table. He didn’t want to lie down in his bed. He thought the rhyme “Now I lay me down to sleep…” was scary. The difference between lie and lay is that lie is an intransitive verb while lay is a transitive verb. An intransitive verb (like lie) is a type of verb that does not act on the direct object of a sentence. When you “lie down” you are not doing something to another object, you are simply lying down somewhere. A transitive verb (like lay) is a type of verb that acts on a direct object. When you lay down a book, you are doing something to the book (putting it down). This is why you use lay and not lie. Knowing this difference, you would think that “Now I lay me down to sleep” is incorrect, but it’s not. The object of lay in this case is me. You are saying “lay me down” (with me as the object) instead of “lie down,” which does not have an object. Both of these constructions are correct. As if this weren’t challenging enough, the past tense of the verb lie is lay. (The past tense of lay is laid.) Ouch! You can see why this verb causes so many problems. Here’s how this verb works in the past tense. Lee laid down his bedtime book. Lee lay down in his bed. Lee tried not to think about bedtime rhymes, and closed his eyes tightly in fierce concentration. His fingers were clenched around the bedsheet. With his eyes squinched shut, Lee thought about what could help him sleep. How could he avoid the nightmares? In the darkness behind his eyelids, a fuzzy warm glowing dot appeared. It grew and grew, until all at once Lee could see that the warm light was shining from the Sandman. The Sandman couldn’t speak, but he beckoned Lee forward. Lee knew that the Sandman was going to lead him to a happy dream with no nightmares in it. Lee started to go towards the Sandman. The Sandman turned and led him down a shiny pathway covered in jewel-bright flowers. The past tense of the verb lead is led. People often use lead for both the present and the past tense, probably because the verb read is spelled as read in both of these tenses. But for lead, you need to use led when speaking in the past tense. As Lee began to lose consciousness and slide into sleep, his clenched hands loosened and relaxed. He knew he would never lose his way and wander into a nightmare ever again. To remember when to spell lose vs. loose, think about how you need to loosen up and lose your fears. Sandy watched Lee sleeping and smiled. He was just another Guardian doing his job. But he would never get tired of it. Have you seen Rise of the Guardians? What did you think of it? I must confess I like Sandy the best, although the Easter Bunny comes close! This post is dedicated to Celine Jeanjean, Nicole Roder, and Margie Brizzolari. Thanks for reading! Hi, Ameena! Yay! I think lay/lie is the hardest one, so hopefully this has been helpful! Some very good learning this morning, though I knew some of the rules, you gave me a much more interesting way to remember them! 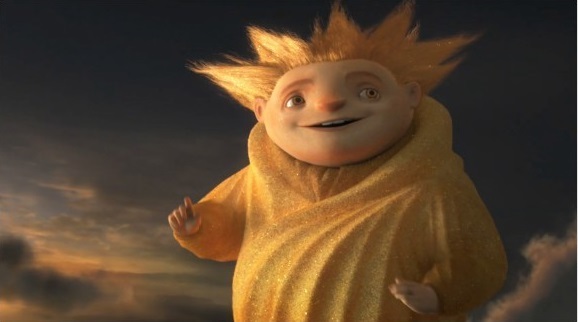 I did not see Rise of the Guardians, and curious now to look into the character of the Sandman….the only Sandman I remember is from the song from the band America. thanks for the educative post! You’re welcome! Sandman is a wonderful character in this movie. Just seeing him makes you smile. I used to have trouble with lose and loose, but cured myself of that, however, I still have trouble with lie vs lay – I shall try and remember your explanation 🙂 One day I will get it, I swear I will. I think some of the trouble with lead / led is also that when “lead” is noun, as in the metal, it’s pronounced like “led” and that doesn’t help. My trouble rests with lie / lay…still. I don’t know how many times I’ve looked it up, still have to double check most of the time. That’s a great point, Kaitlin! These overlapping words can cause all sorts of problems. I have a hard time with lie and lay, too. English is a big jumbled mess. I’m so glad it’s my native language and that I’ve always been a grammar/linguistic nerd. Otherwise, I just don’t know if I could handle it! I don’t think I’ll ever be able to use lie/lay and not look it up. I simply don’t trust myself to not get it confused. I’m reading my son the Rise of the Guardians books right now. We’ve seen the movie, but we both prefer the books. Visiting from the A to Z trail! And “Lay Down Sally” doesn’t help anyone remember the correct usage. Thanks for nothing, Mr. Eric Clapton! Yes! I knew it would be lay vs. lie. 😀 *high five* As for the words, I have to use a cheat sheet–I’m not even joking. I do all right with the present tense of the words, but the past and participle tenses… yeah, my brain can’t handle it. Well, one out of three’s not bad. 😉 My brain turns into spaghetti on lay vs. lie as well, and I admit to having written lead, too. Guess I’ll have to keep going back to my own post! I’m ok on these three – I think! I hadn’t noticed the lose / loose mix-up much until recently – it seems to be becoming more common. I like the lose weight / loose pants idea, I might use that one next time – correcting pants to trousers of course! 🙂 I wouldn’t presume to comment on anyone’s underwear – the old North American / British difference in usage rears its head again. Oh yes, pants vs. trousers! I can see how that would be awkward. 😉 Glad the example works for you. Lie/lay/laid always trips me up when I’m writing. Usually Word is pretty good at letting me know when I’m wrong. Or beta readers or my editor catch the mistake. As long as it get fixed! Yes, this is when I am thankful for other people reading my own work! Even when you know the rules, you forget them when you’re in the middle of writing. Please do! I hope these posts will be good ongoing references, that would be wonderful. The only ones I didn’t know were lay/lie. Well, not explicitly, but if I don’t think about it, that’s how I use them. Yes, it’s not something you tend to think about unless you’re using them a lot. I confess, lie versus lay is one that my brain resists getting straight. I know I didn’t have this problem in school, so I don’t know why I’ve developed it as I grew older. On the other hand I haven’t gotten allergies, which many people do as they grow up, and I don’t need glasses yet, so if losing the ability to accurately choose lie versus lay is the price I pay for those benefits I suppose it’s worthwhile. Nice bedtime story! I have to refresh my memory on lie/lay every so often to keep them straight. I’ve seen Rise of the Guardians, and I liked it, except for the sad part about Jack Frost’s origin. Yes, that was a sad part. It always brings tears to my eyes when he finds out about his past. A great tale to help us all tell those tricky, sticky words apart! Thank you! My husband is a big fan of the yeti. Santa was great – so different from how he is usually portrayed. William Joyce is certainly creative! Very helpful explanations! I still get tripped up over lie/lay sometimes. Thanks, Nick! Glad it was helpful. I mess up lie/lay sometimes, which is common, but I’ve never understood the lose/loose mistake–they’re so different! I’m not sure why that one causes people so much trouble. Maybe because they both have the “oo” sound. Oh cool thank you for the recommendations!! Thank you so much. It is really helpful and clear many of my concepts.